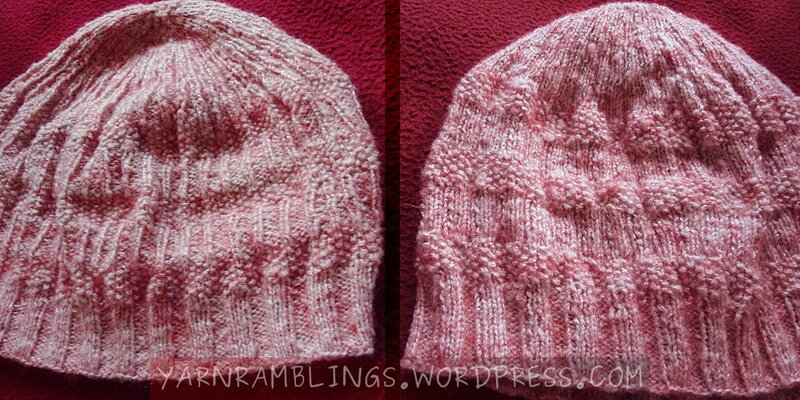 I knit a quick slouchy hat last week, while a bad case of cold and cough got me bored out of my mind. 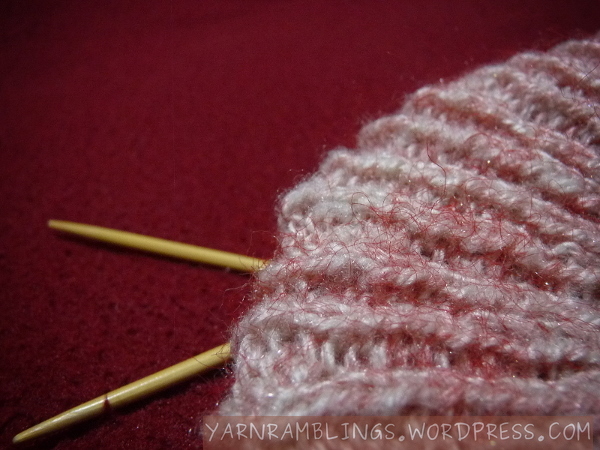 Binge-watching serials didn’t help much, and I thought I could knit while watching. 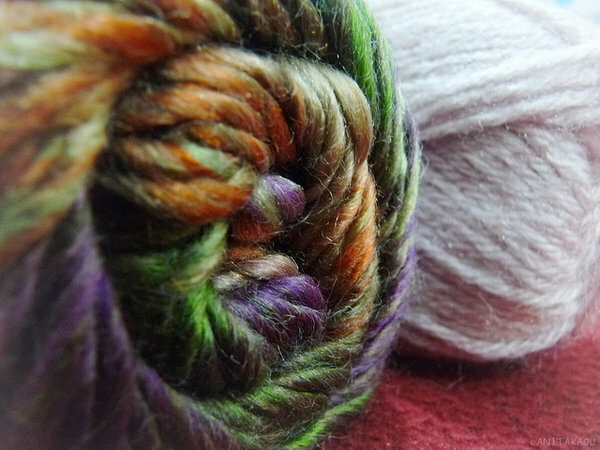 But then, I didn’t have the energy to tackle the larger projects that I’ve been working on, and decided to knit something small, just a few rows now and then. A hat would be perfect. Pretty, isn’t it? My sis likes the amount of slouchiness in this one. 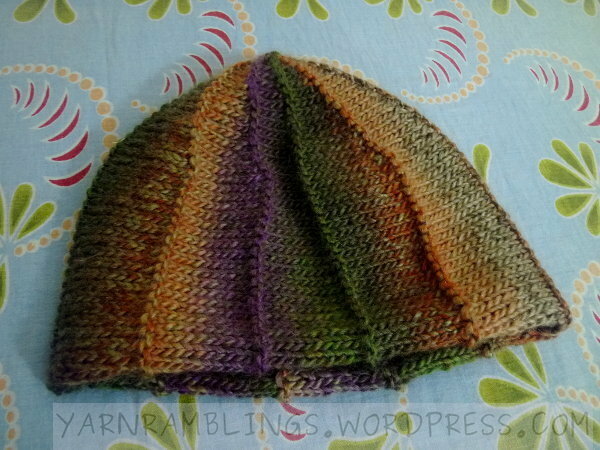 The horizontal sections in this top-down hat are composed of alternating stripes of 1×2 ribs (which are 2×1 ribs on the other side) and seed stitches (or British moss stitches, as they are also called. There’s an American moss stitch, which is different — but I digress…) I ended it with a 3×3 ribbing using needles one size smaller. Though there’s no right or wrong side 🙂 my sister and I each have our preference. How about you? Do you like one better than the other? 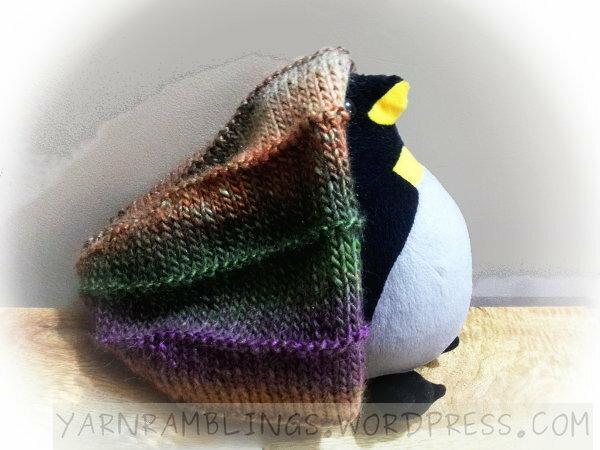 After that disappointment with the lacy cardigan that resulted in its being unraveled back into balls of yarn, my sister asked if I could make her a hat. We decided on another unraveling for that — I’d made a crocheted shrug a long while back with a lovely pink-and-white-and-red yarn, and none of us have worn it, so the poor yarn might better serve as a hat instead.